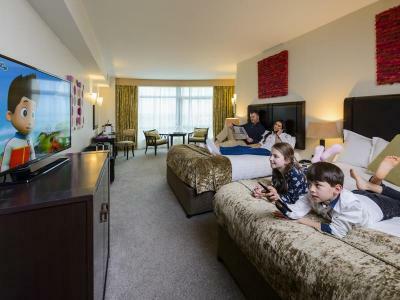 Fun for all the Family at the Cork International Hotel with superb Bed & Breakfast and Dinner Bed & Breakfast Package available along with trips to Fota Wildlife Park. Enjoy a 2 Night Break including dinner in a spacious family room. - Access to the Children’s Aviator Club Playroom is included in the package, as well as the Children's film in our in-house cinema room, nightly at 6pm. - Price is based on 2 adults and 2 children. Breakfast is served in The Atlantic Restaurant everyday between 7am & 10.30am. Enjoy a family two-night breakaway and avail of all that Cork has to offer for all the family. 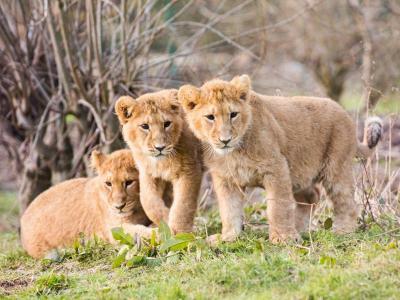 - Family ticket to Fota Wildlife Park in the heart of East Cork. - During the stay you have complimentary access to the Children’s Aviator Club Playroom as well as the children’s film in The Cinema Room, nightly at 6pm.